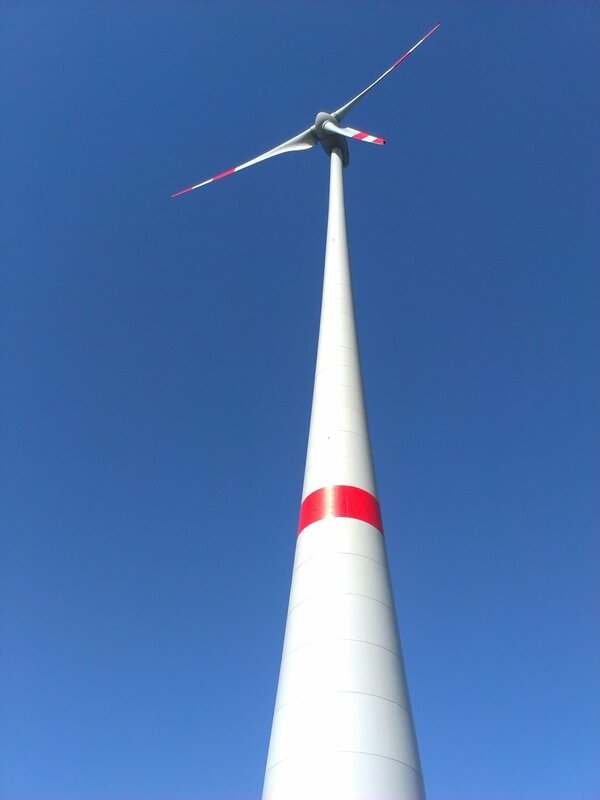 Today I had the opportunity to visit a pretty high Enercon E-82 E2 wind turbine which looked just great from below. The generator unit delivers 2,300 kW and is approximately 138 m high (hub height). 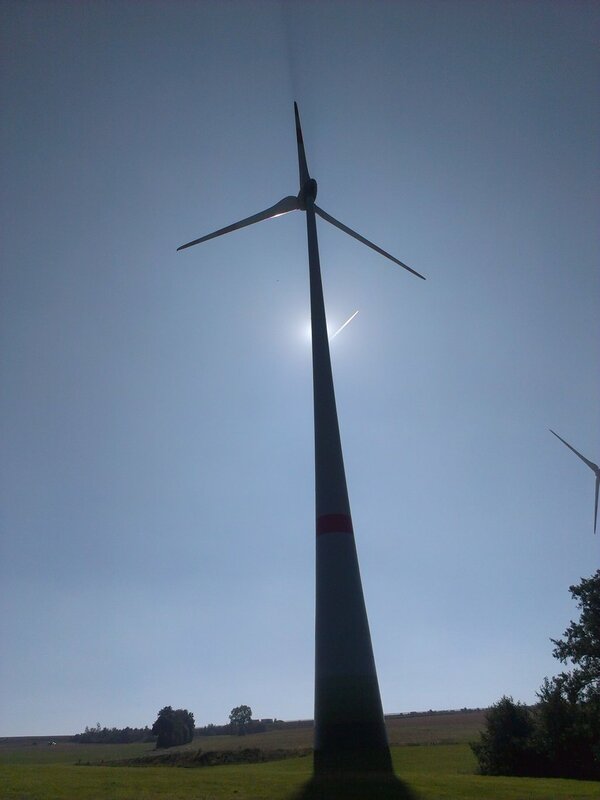 With its rotor diameter of 82 meters the blade tips can reach a maximum height of 179 meters. 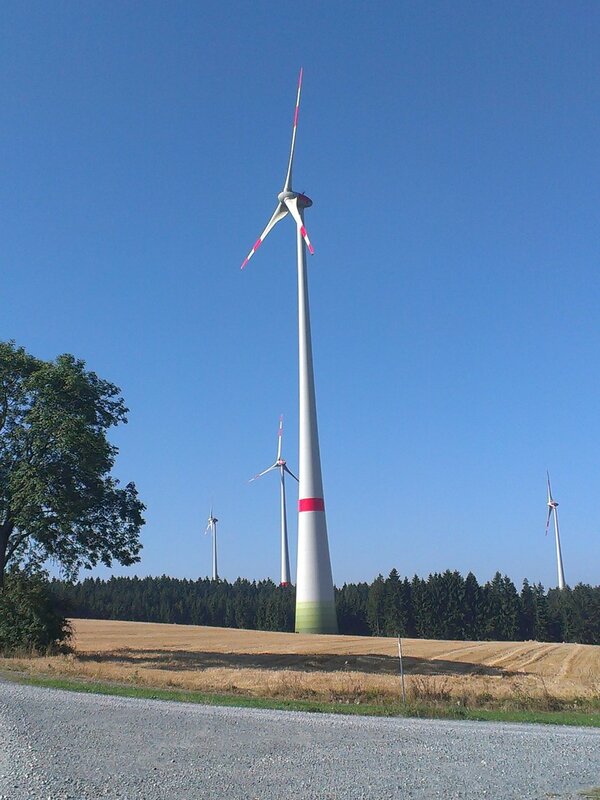 Many of these and other types of wind turbines have been built here in Germany recently in the course of Germany´s energy transition - the so called "Energiewende".